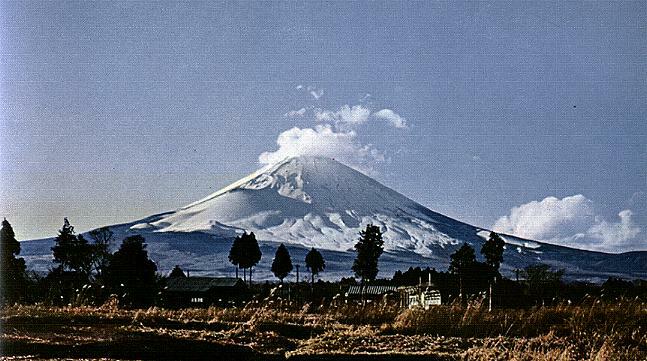 Fujiyama, symbol of all that is magnificent in the Orient. She watches over the land of Kimono and Kabuki, of Sukiyaki and Shamisen, of Geisha and Geta. Her children are amazing people, rushing toward things modern while clinging to things ancient. Perhaps most notable among their many attributes is the deep-seated humility taught from birth . . .
one from which all humanity could profit through practice.